The cheapest car of India is all set to become a part of commercial vehicle segment in Jammu & Kashmir. It will be used there as a mini-taxi. The State Transport Department had been receiving requests from some time to use Tata Nano as a cab along with the similar fare plan that is being used in auto rickshaws and other commercial vehicles.The Transport Commissioner, Mr. Mehraj Kakroo, did commented on the matter saying that “We have received proposals from private players intending to use Nano cab as a commercial vehicle to ferry passengers on the tariff being charged by the auto rickshaws.” In case State Transport Department gives permission then Nano will run as a cab under Development Authorities of both Jammu and Srinagar. The commutation department of Jammu and Kashmir is looking into the matter and has asked interested cab owners to submit their proposals. But before applying, there are a few prerequisites that these private operators are required to have. Every cab owner must have proper office with all facilities, complete prearrangement of parking lots, and a permit to drive in cities. Along with this, every cab must be equipped with GPS so that taxi’s location can be tracked any moment, the car must be new or should not be older than two years, and last every cab must have a digital meter. The transport authorities have given options of three colors – white, red, and black color for the cabs and has also made maintenance of vehicle mandatory. Also every car must have an air-conditioner. This move might or might not go in favor of Tata Nano’s image. On one hand, it might raise some serious questions over Nano’s image in customer’s mind while on the other hand might become a favorite vehicle for Kashmir tour. 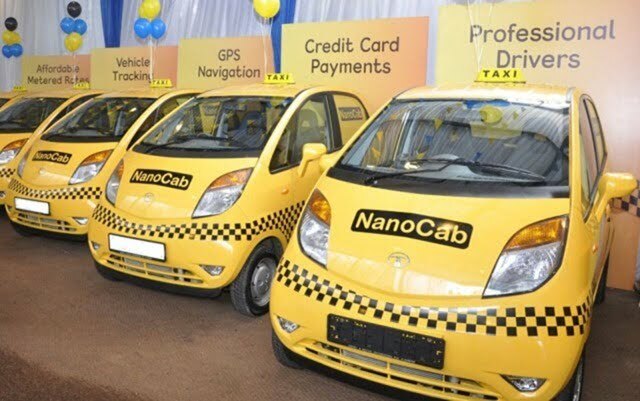 Nanos are already in use in Sri Lanka as commercial vehicle and the concept has been quite successful there. Therefore, it wouldn’t be wrong to assume that this concept will be a success in India too. Presently, some of the other models from Tata that have been successfully running on Indian roads are Tata Indica, Tata Indigo, and Sumo.